Denise is a Bend native, who left the area and came back! 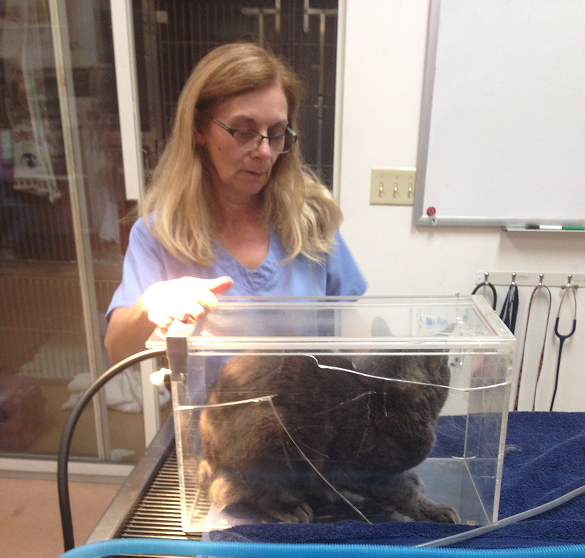 Denise began working in veterinary practices in 1999. She attended Yakima Valley Community College, graduating in Veterinary Technology in 2003. 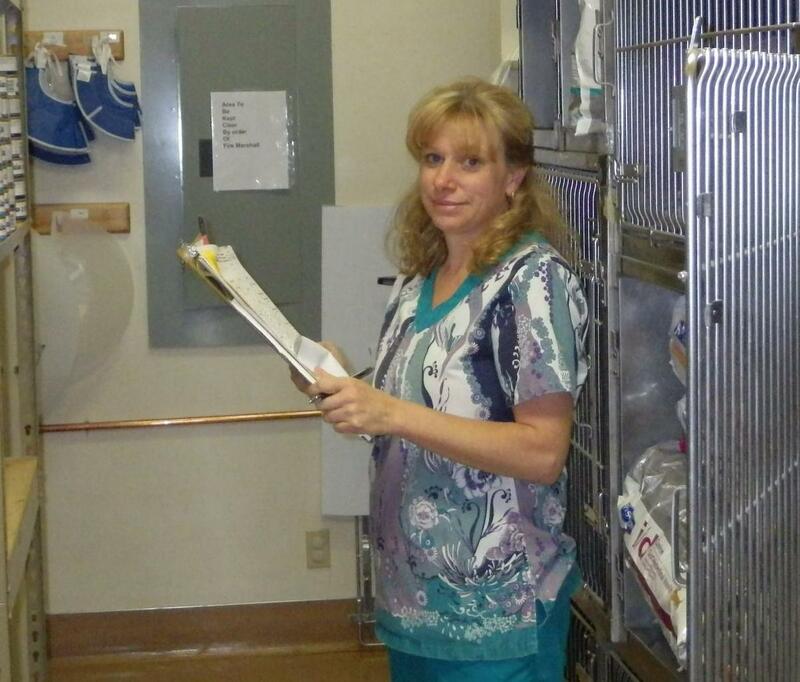 Denise has been with Mt Bachelor Veterinary Hospital since 2009. She handles many administrative responsibilities in the clinic, in addition to being our lead Technician. You can find Denise out enjoying her family and critters when she's not at the hospital. Muriel hails from Paris France and has been a licensed technician for 20 years. She is seen here attending to a cat in the oxygen tank. Amanda (on right) and Katie are always ready to assist you on the phone or at the front desk.. Amanda comes with many years as an all around helper. Assisting in front and helping Doctor Rex with patient needs. Katie likewise can do it all!